Two artists who have an arch nemesis in common link up on "I Don't (Remix). Mariah Carey and Remy Ma unite their talents on this track, still featuring YG. It's no secret that Carey had a rough time trying to get along with Nicki Minaj when they served as judges on the now-defunct American Idol together. So one has to wonder how much that came into play when they were looking for an extra feature on the remix. The song stays intact save for additional bars from Remy. If this version does well on the charts who knows where this veteran alliance may go. 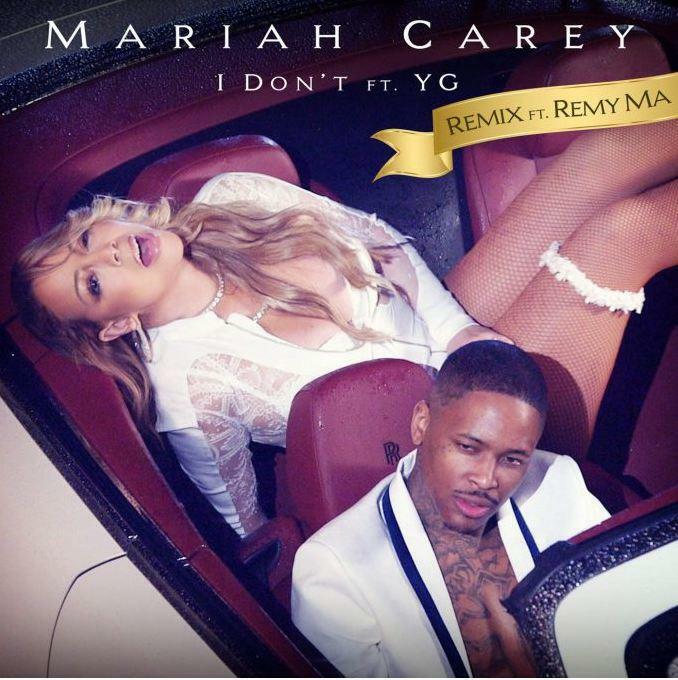 Listen to "I Don't (Remix)" right here. I'm regretting it damn are you dumb?